H&S Swillhouse is a hip-hop and R&B club that replaces Hide and Seek, in Fairgrounds SCBD. In the same complex, you also have popular venues such as Fable, Lucy in The Sky and The Pallas. I visited on a Friday night around 1AM. I was warned at the entrance that all the tables were occupied and that I could only stand at the bar. I was fine with it so I went inside, free of charge. The design is as minimalist as it can be. 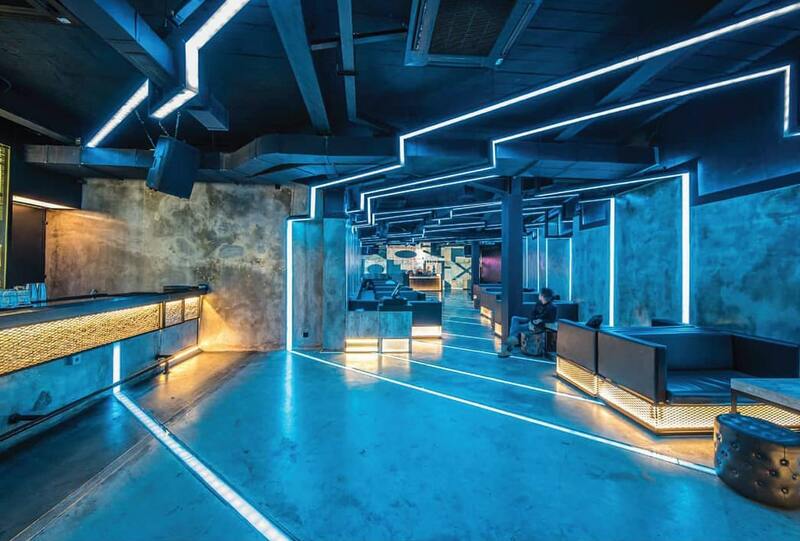 It is basically just a mid-size rectangular room with concrete walls and floors, neon lighting and sofas on the side. Positioned at the entrance, the bar is quite large and it wasn't too crowded. On the contrary, the narrow dance floor was packed all the way from the bar area up to the DJ booth. It was almost impossible to move, let alone dance. Something particularly annoying was that there is only one toilet at the back which is quite difficult to reach. While the music in Hide and Seek was often electronic/techno, the Swillhouse is focusing on rap, R&B and hip-hop. 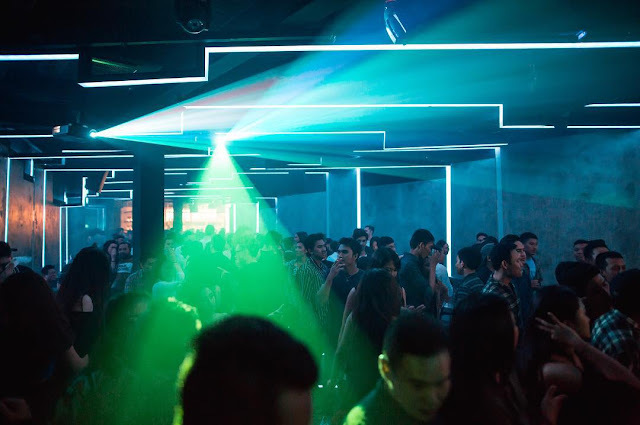 In particular, they have DJs and live performances every Monday, Wednesday, Thursday, Friday and Saturday. 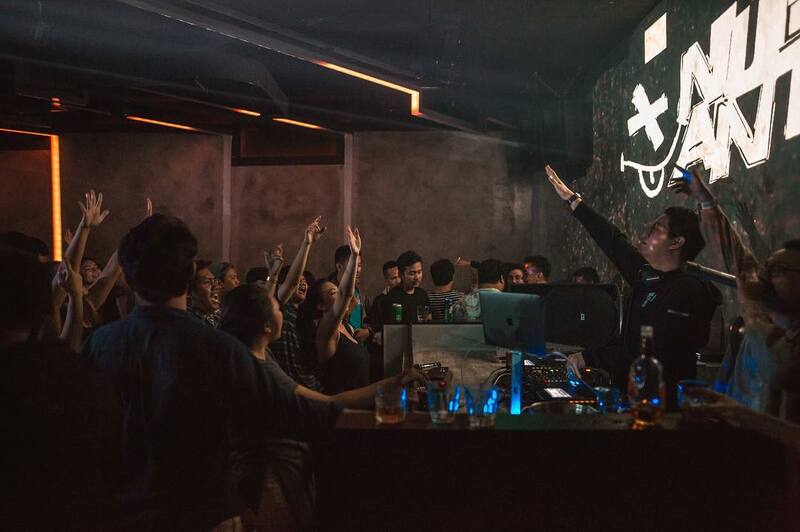 To my knowledge, it is the only club to do so in Jakarta since Equinox closed down. I'm not a big fan of hip-hop, but the music was pretty cool and the crowd was really having fun. On average, people were in their early to late twenties, probably from the upper-middle-class. There weren't any foreigners except me and my friends, which was not surprising as the club isn't very famous yet. The atmosphere was relaxed and easy going so it was quite easy to meet people. The dress code is not too strict as I was able to enter wearing only a jean and t-shirt. I also saw that girls weren't required to wear high heels. Overall: I enjoyed Swillhouse for the music and the trendy crowd. One thing I recommend is to book a sofa to avoid being squeezed when dancing. The price starts at IDR2,500,000++. Open every day except Tuesday and Sunday from 6PM to 2-3AM. No Comment to " The Swillhouse - R&B and Hip Hop Bar - Jakarta "